Belgium beer in a kwak-ers glass! Does a glass with a perfectly round bottom, so that it will not stand up by itself, sound a little crazy to you? 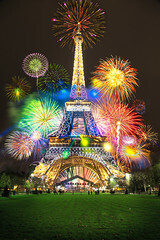 It does to me! 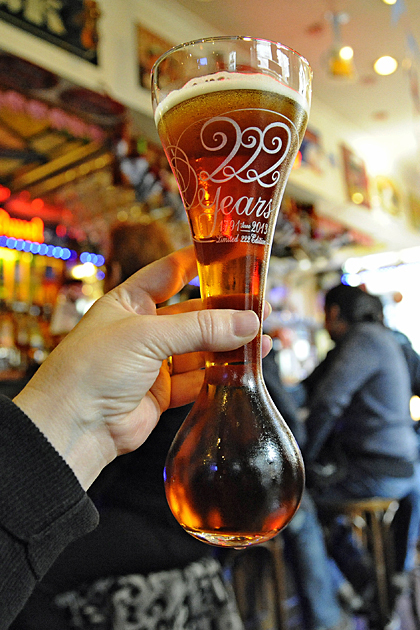 Have you ever wondered why the glass that the Belgium beer, Pauwel Kwak, is served in is so bizarre? This tasty beer is brewed by Bosteels Brewery in Buggenhout, Belgium which was founded way back in 1791. Surprisingly, but a pleasant surprise at that, the brewery has been owned and operated by the same family for 7 generations. They brew three beers: Tripel Karmeliet, DeuS, and Pauwel Kwak. It’s very common for Belgian beers to have a branded glass with its own distinctive shape, but the Kwak glass is the strangest I’ve ever come across. 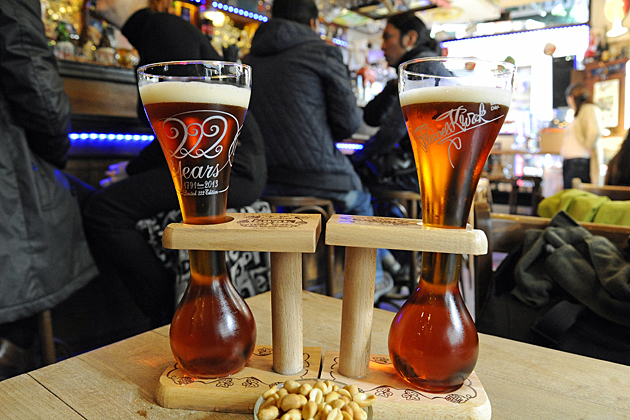 Both Tripel Karmeliet and DeuS are served in fairly standard glasses so why, you may ask, is Kwak so very different? I’ve also heard it suggested that the thin neck of the glass enabled it to be held in the coachman’s thick glove. Luckily when you order a glass of Kwak it comes with its own monogrammed wooden stand which you can use to prop it up and either remove it to drink on use the stand as a handle. Irrelevant of the fun of trying Kwak (8% abv) for the first time in its novel glass, it’s a fine beer, deep amber in colour with a cream head, a mellow, slightly sweet taste with hints of caramel, banana and liquorice. Kwak gift packs, which make a great present for any beer lover, can be ordered from Beer Hawk. I ordered one, quite late, as a Christmas present and when the first one was broken en route, Beer Hawk rang me, apologised and sent another out straight away, which arrived in time for Christmas. They get full marks from me for service. 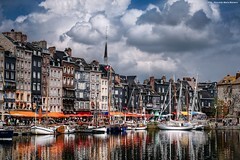 Categories: Belgium, Features, Food and drink | Tags: beer, Belgium, Bosteels Brewery, Europe, Kwak, Kwak beer, travel | Permalink.